Relax and Enjoy! Exceptional home in beautiful Forsythia Gate: Modern, upgraded Country Clubber with an enjoyable open floor plan that makes living easier. Granite countertops complete your modern kitchen, which offers ease and enjoyment for any level of cook fitted with top-of-the-line stainless steel energy-efficient appliances, brand new flooring, and kitchen island seating. The welcoming, cozy stone fireplace is your first floor centerpiece & carefully designed to offer you a view from the comfort of both dining and living rooms. Another great feature is three full bathrooms that go along with your four large bedrooms. Two of the bedrooms are on the first floor and the convenience of a large 1st floor bedroom with its own full bath, sitting area, and walk-in closet means this home has been thoughtfully designed for the versitility to accommodate either a dreamy "Master Suite" for you, or a convenient "In-law Suite" for an independent loved-one. Two cars can fit in the attached garage, many more in the long driveway, large rear yard, large first-floor laundry room, and second floor has a large open room that could be your "Home Office." Propane for cooking in kitchen, and dryer in laundry, so this property has been somewhat retrofitted for the future possibility of natural gas in this area. 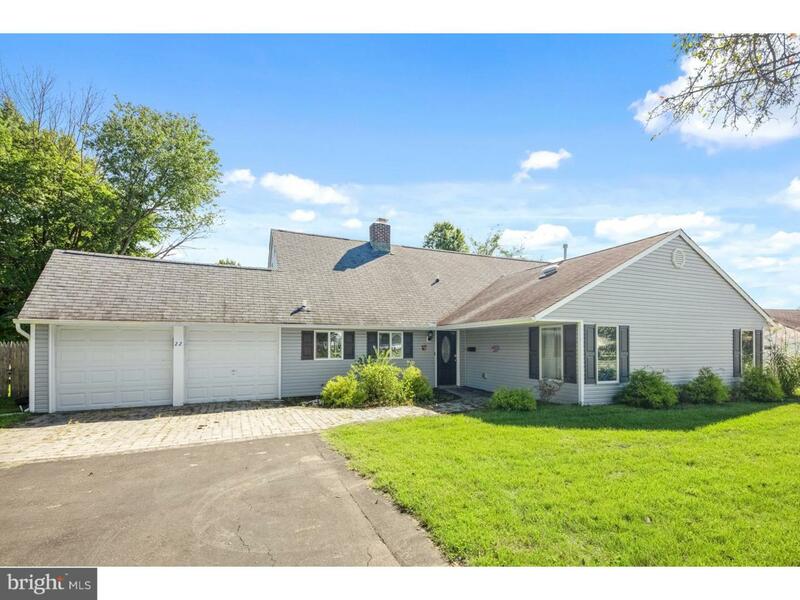 Excellent Bucks County location! Live where you love. Make your appointment today! Listing courtesy of Mccarthy Real Estate.